The strongest lifter doesn’t always win, sometimes the smartest one does. Assuming these points are all true for you, then actually we begin the process by finding your goal weight that you want to hit in the meet. This is most typically a 5-15 lb PR over what you have done in the lift so far, if your best squat is 475 then you might go for 485 this time around. You can take your previous best gym lift or competition lift as long as you are aware it is much easier to hit lifts in the gym on your home turf when you don’t have 3 judges examining every detail. That PR lift, in this example the 485 squat, will be our third attempt. It is possible to go for a PR on your second attempt but it is rare that I suggest that course of action. Our third attempt is going to be 100% of our goal – in other words it is the goal weight. If you squat 485 you’ll be happy with that performance, and anytime you set a PR in a competition you should be happy with that. From here we reverse engineer the first and second attempts. We are going to use a simple formula. I believe this plan works well for the following reasons. Even if the lifter is having an off day, honestly even if the person had the flu, they can still hit their openers. Once I developed a migraine after the bench press right before deads. I am talking a ‘full-on, room spinning, hide from the lights in a dark room’ migraine and I was still able to deadlift 90% of my max. I am not saying I am super tough, I am saying that max strength really doesn’t fluctuate on a daily basis as much as people think it does. If you don’t hit your opener there was no reason to even show up – bombing out is unacceptable. In addition these openers are comfortable enough to not cause excessive anxiety before the competition. 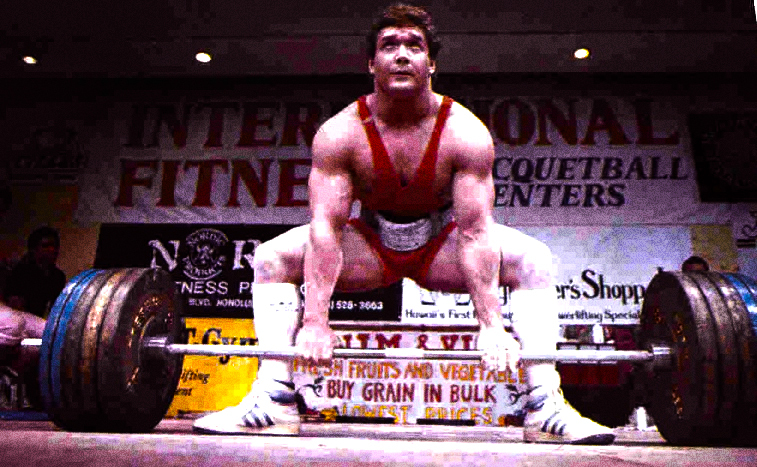 The second attempts are very solid lifts – high enough to build the total, high enough so that the lifter will likely out-lift other competitors that are weaker than they are, but not so high as to have a high probability of a miss or to drain the lifter’s energy excessively. The third attempts are goal weights, the lifter should have a reasonable (at least a 50% chance) of hitting them, they are PR’s and they will really build the total. If you don’t hit your opener there was no reason to even show up – bombing out is unacceptable. This method also serves to provide information about your training and about your ability to select the competition attempts. Using this method if a lifter misses their opener due to strength then the lifter simply has no idea what they can really lift. In realty most lifters could hit their opener (87.5%) for 3-5 reps if they had to. If you miss your opener with this method that should be a wake-up call – a slap in the face so to speak – that you are not aware of the form required to lift in a competition and you need to enlist the help of someone more knowledgeable to get your training and programming on track. With this method lifters should usually not miss their second attempt, even on an off day you really should be able to hit 95%. Ask yourself why you missed it, most likely you were not training the lifts in the gym to the same strict standard as required in a meet. The most common mistakes are squats that aren’t quite deep enough, benches that aren’t paused long enough, hips that are allowed to rise up off the bench, or the lifter is using a hitch to complete the deadlift. Tighten up your form, film your lifts, and take some weight off the bar – do it right if you are going to do it. Third attempts are what they are, time to test yourself and see where you are at. If you get it, great, you should be proud of yourself, and even if you don’t at least that is useful training information. See where and why you failed and what you can do next time to be better. Now if they go 9 for 9 they added 25 lbs to their total, that adds up in the long run, and even 7 or 8 for 9 adds 15-20 lbs to the total. They should have a good likelihood of going 9 for 9 and if they don’t at least they learned that specific training program wasn’t effective in building their strength, which is valuable information in the long run. Don’t underestimate the positive momentum that making attempt after attempt generates. I call it riding the wave, when you go 3 for 3 and then 6 for 6 you feel unstoppable – but once you fail with a weight suddenly you start to question yourself and your training. With this method you can grade your performance on the day of the meet. If you just go 1 for 3 in a lift that is a C, passing but that is about it and you should be disappointed in your performance. If you go 2 for 3 that is a B, a decent effort but nothing to write home about. If you go 3 for 3 that is an A, a job well done and something to be proud of. If you don’t make any successful attempts in a lift that is an F and you need to seriously re-evaluate your strength, your training, and your knowledge of the sport. There is it: 87.5%, 95%, and 100%. When in doubt trust those guidelines and see if you can go 9 for 9 in your next meet. Assuming those things apply, then I suggest the guide in the article as you speculated. You basically have one big pull in you. Let’s say someone has a previous best of 580, they should likely try 585-600 at the meet. Doing something like 570 would help the total but is very likely to induce some fatigue. I suggest picking a number you have good confidence in and you believe you can do. If you don’t get it so be it, you won’t be happy anyway so why waste energy with a medium heavy 96% lift? The opener is a true warm-up, the second attempt preps you for the weight, boosts your total and it is go time on the third. This also matches the flow of the meet, everybody knows you are going for it on your third attempt, if you go crazy on first or even second attempts people are less likely to get behind you and it requires more energy to go against the flow than with it. You could argue go for a big number on your second and I have done that in the past, with the idea you get it, then you go up another 10 lbs as a bonus, but most of the time you miss the third because you blew your wad on the 2nd anyway and you feel more defeated and are more likely to get hurt with that method. I wouldn’t change the plan much in a push pull or deadlift only assuming the 3 things I stated at the beginning still apply. If they don’t then one may need to change their strategy, which I cover in the book. THX that’s a great ansrwe! 5 Common Social Media Marketing Myths…Social Marketing presence is critical for social media success. Its importance has been reviewed to tiredness. Specialists across the world have almost finished studying on techniques to make the idea more powerful…. I’ve read your article and found it very informative. Would you mind if I add your calculations in an iPhone App I’ve developed? Maybe with a reference to this article, or your own webpage? Check out the app if you want, http://www.lifterstoolbox.com and give your say. It’s just some small calculations for powerlifters/weightlifters, and not another of those rep/sets register thingys. I would like to show you how to recover a Cisco switch (ex. 3560x/3750x) from Boot Loader prompt (switch:) because from my experience the documentation I found on Cisco is incorrect or I am really stupid for not able to understand. Great article, thank you! Helped me a lot to pick the attempts. My comment, however, is about the squat photo, is it a failed attempt? Because all the spotters seem to be grabbing the plates, the bar, and the back spotter is definitely supporting the lifter. Going with this attempt approach tomorrow. This will be my second full meet (two push/pulls as well). Enjoy your articles and email content so I trust the source. I do not even understand how I ended up right here, however I assumed this post was good.